This is how hyped I am. I drew something OTHER than OCs today. SEVERAL TIMES. BTW, my New Years' resolution was to be less lazy with my art. My first step to doing that is to stop posting pen doodles. Instead, all doodles will be at least lined digitally, and usually have flat colors. If I wanna add more than that, I will. In this case, I added some extra prettyfulness to the eyes. 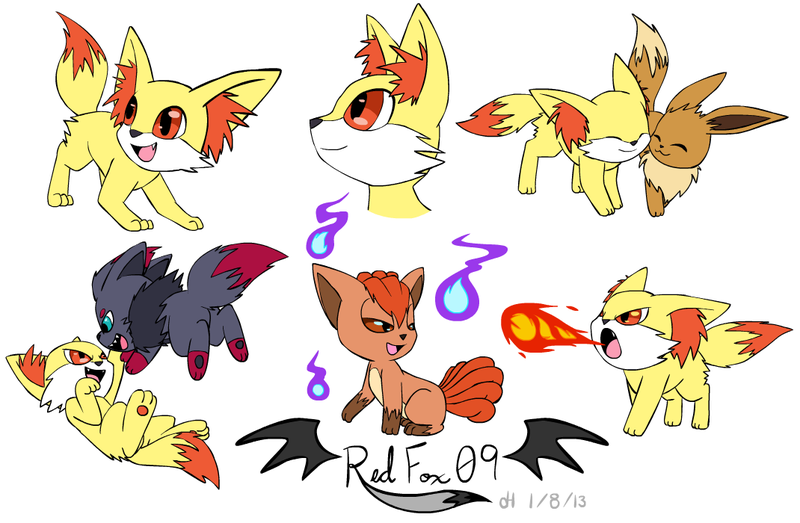 We have finally found Zorua's opposite.